I recently received a package all the way from Chile! It contained a brand new card game that we have spent some time playing this last week. 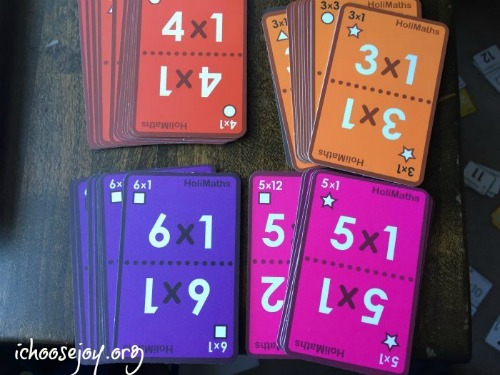 Today I’m sharing 5 Reasons I Love the New HoliMaths Educational Card Game. 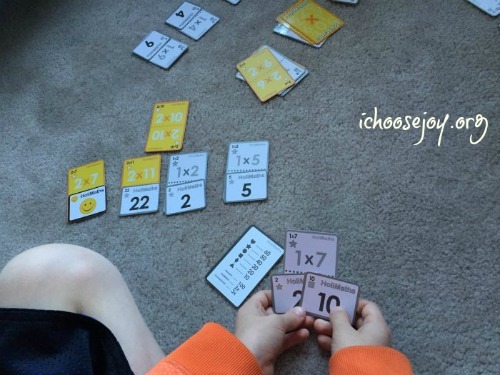 The purpose of the card game is to help kids get better with their times tables. It comes in 2 boxes. The pink/yellow box has cards for the 1-6 times tables, and the blue/green box has cards for the 7-12 times tables. 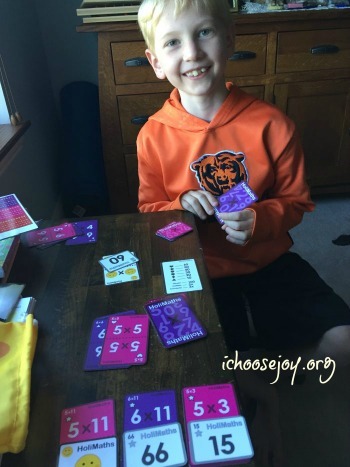 It can be played with 2-6 players, ages 7 and up. 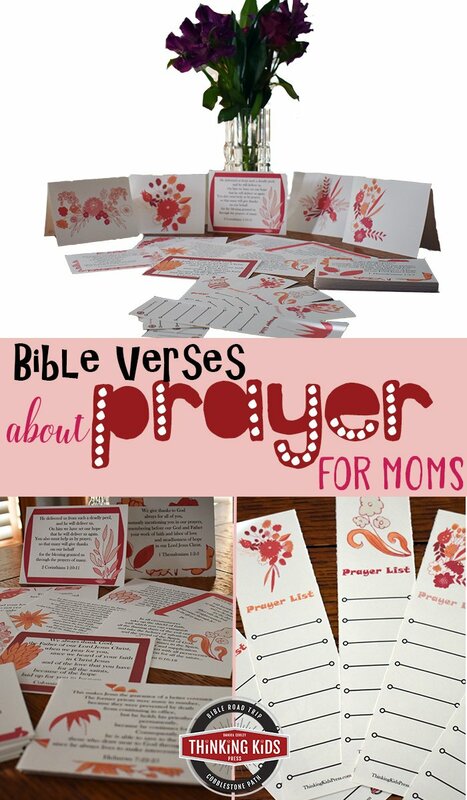 Aimed for intergenerational integration involving parents and grandparents in a fun way for the whole family! You see that everything is in Spanish. Not to worry. I just received the first prototype to review. Future printing will include the game printed in English, Portuguese, and some other languages. My kids and I had a lot of fun playing the game. 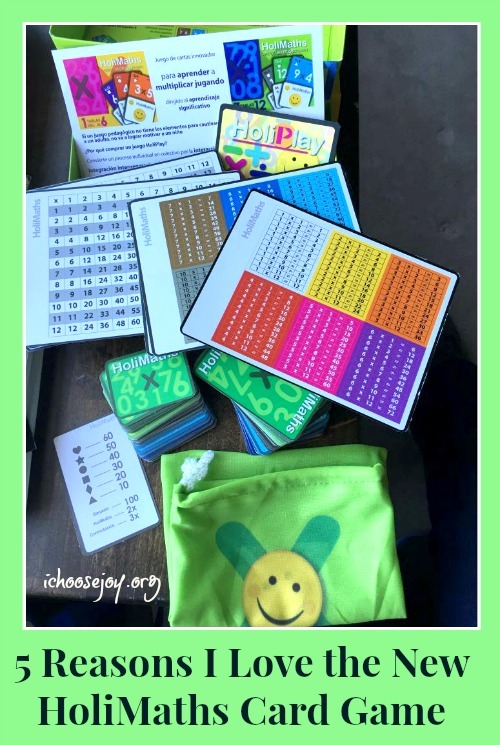 It worked well for my math-challenged daughter who has trouble memorizing her times tables. I was able to just choose the easier times tables for her to start out with. She can even use the “cheat cards” if needed. It also worked well with my math-advanced son. He wanted to do tougher times tables, so we did. 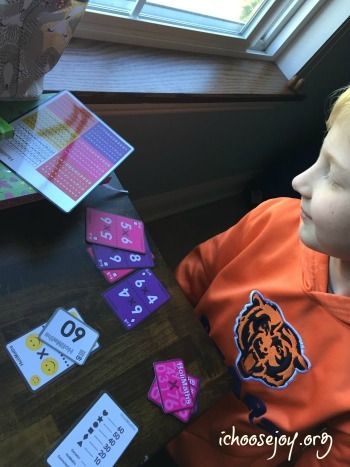 He was also using the score card often and trying to strategize what cards to play that would give him a higher score at the end. There are 10 different games to be played with the same set of cards. We certainly won’t get bored with so many options! Some games are quicker if we only have 20 minutes or so. Other games can go on for a longer time. 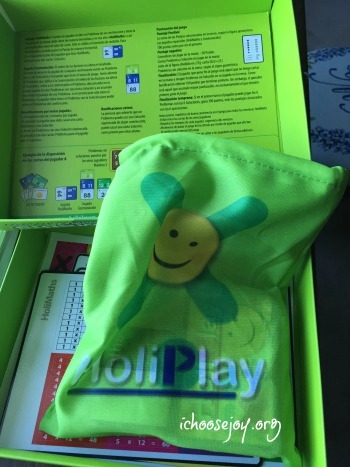 HoliMaths was selected as a winner of the Summer 2016 Academics’ Choice Brain Toy Award! I love how colorful the cards are. 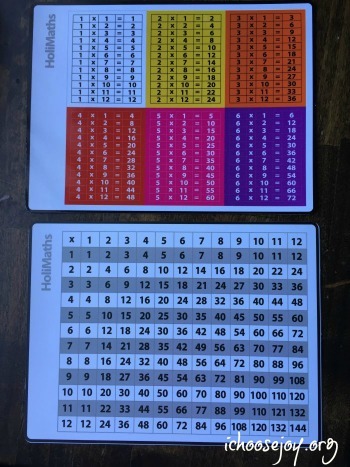 Each times table is a different color. It helps those right-brained kids who have a more difficult time with math. 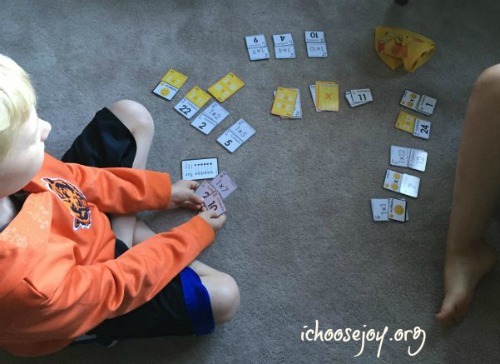 The card on the floor with the shapes is the “score card.” My son was using it to strategize getting a higher score. **They are live on Kickstarter.com from Sept. 6 – Oct. 4. Check it out! Previous Post: « Studying Cowboys & Indians? Include this Art Collection Set!